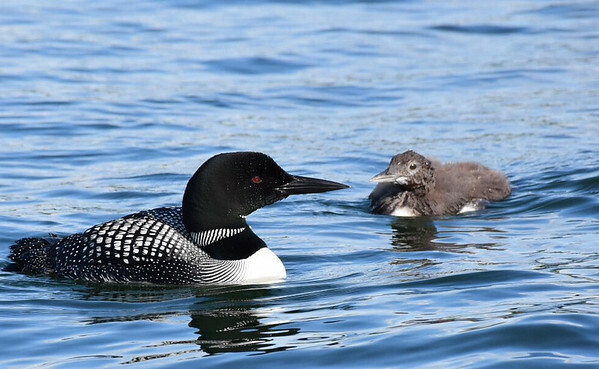 An adult loon and one of its offspring. Another chick and the loons other half were nearby. Photo by Howard Cousineau.